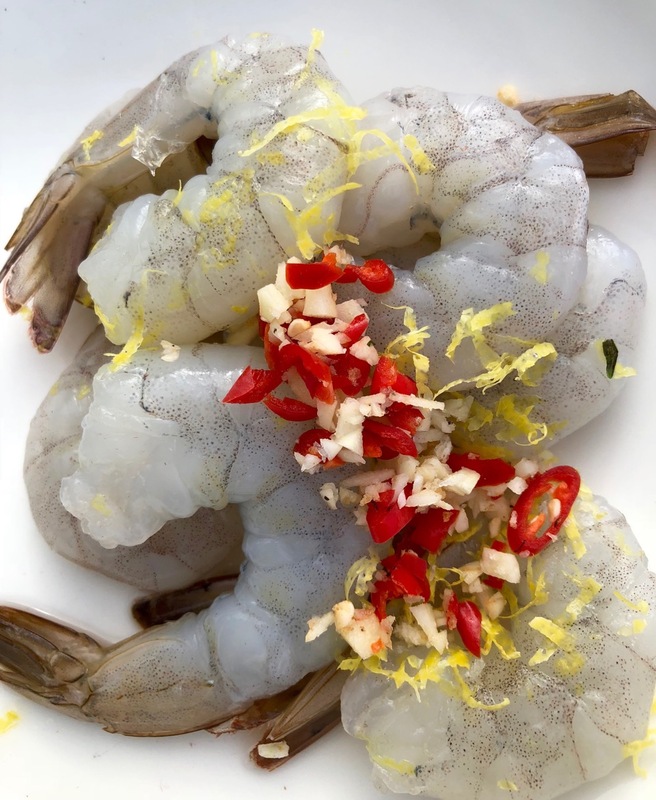 Today I want to share another beautiful Southern Italian condiment, called Pangritata, or poor mans parmesan. 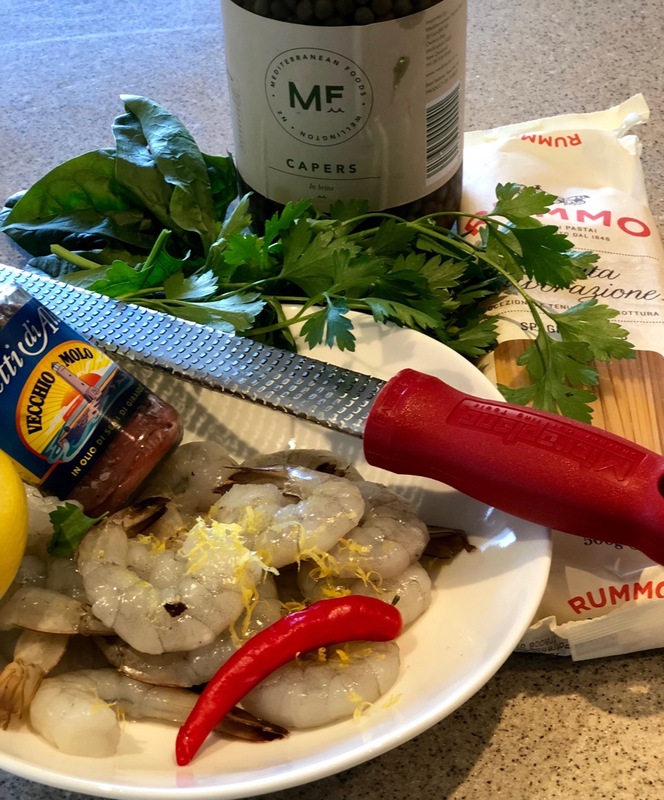 Traditionally it was used to add texture and flavour to oil based pasta dishes without using expensive Parmesan Cheese, made simply with stale bread, garlic fresh herbs and olive oil toasted in a pan until golden. Yesterdays bread to yield approximately 2-3 cups of rough crumbs. Approx. 2-3 tablespoons extra virgin olive oil. Small handful of fresh hard herbs such as thyme and rosemary alternately a teaspoon of dry thyme. 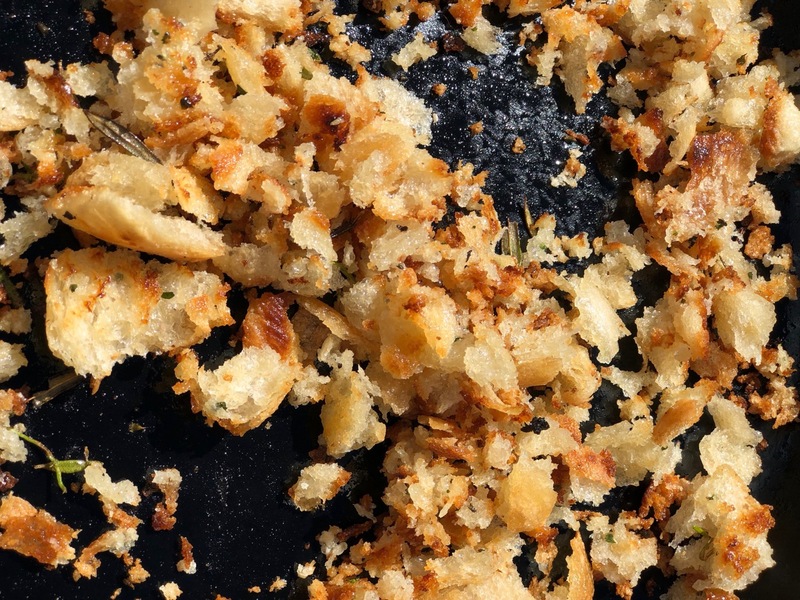 By hand or by pulsing in a food processor roughly chop all of your ingredients together. 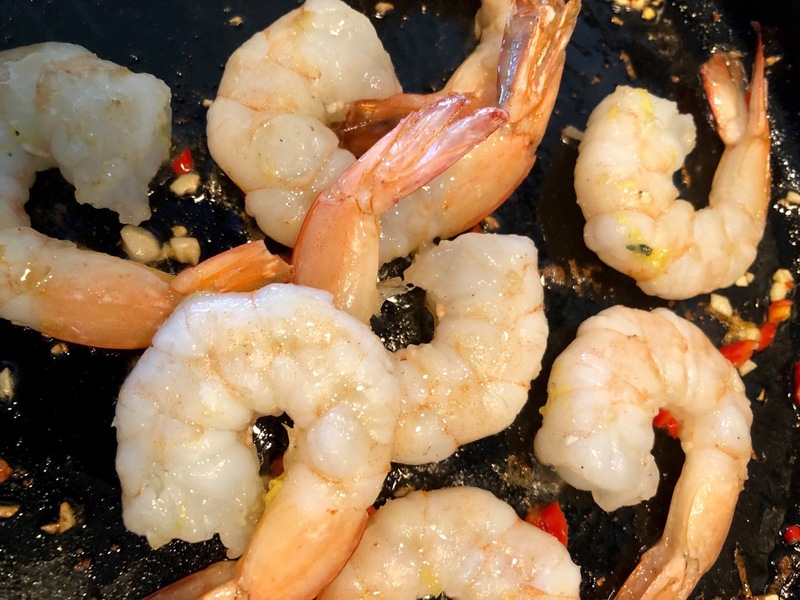 Put all together in a pan large enough to cook in a single layer, and toss together with the olive oil so they are nicely coated but not drenched. Turn the pan on to a medium heat and gently cook until golden brown and crisp. Once made you can use these straight away or cool and store in an airtight jar for several days. Make them on a Sunday and sprinkle over your meals all week. BUT WAIT THERE IS MORE !!! 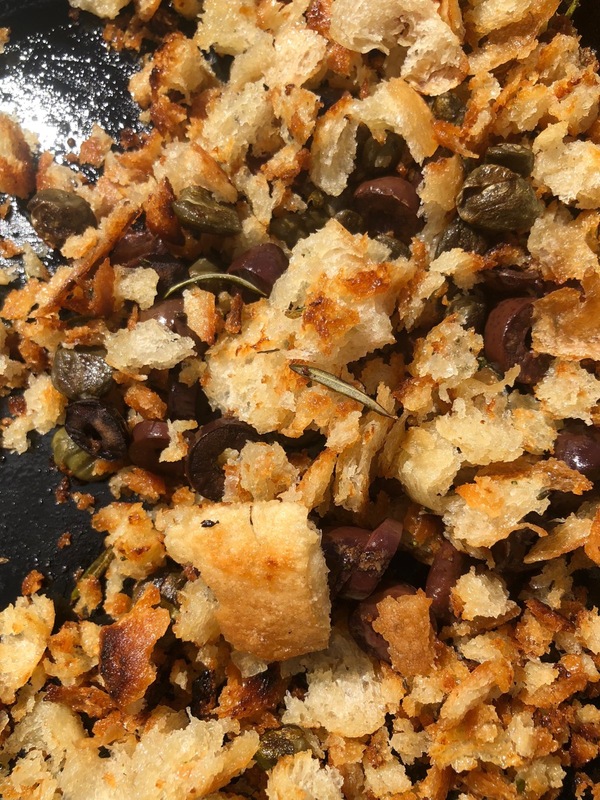 This basic crumb can be worked to compliment your meal by additions such as – anchovies melted in a little olive oil in the pan before you start, and or capers and olives or chillies. 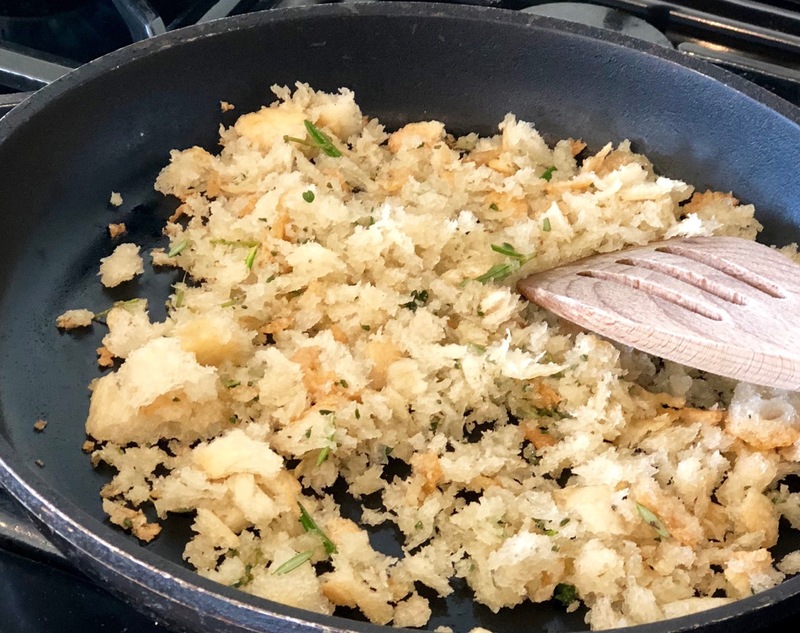 Finish with more soft fresh herbs such as parsley, tarragon or fennel tops, or sun dried tomatoes, pinenuts or go all out and add a little grated parmesan as well. 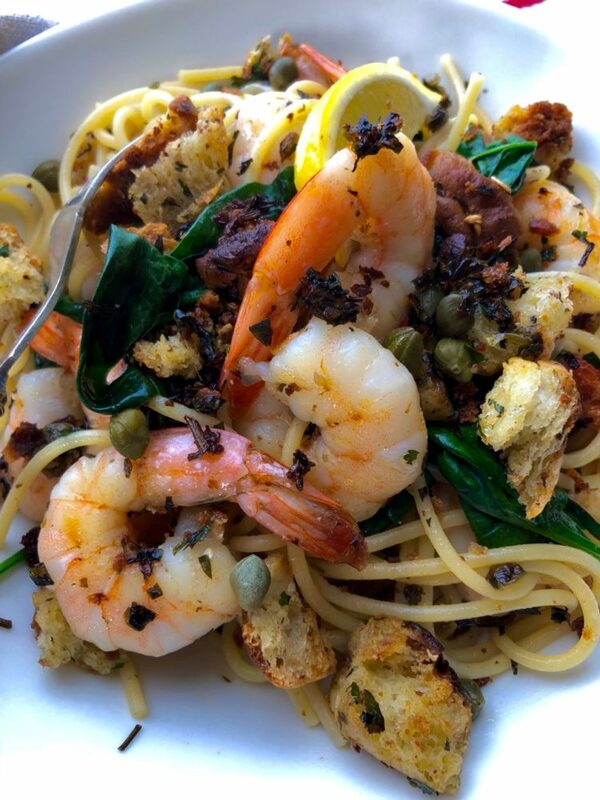 Use your crumbs to top your spagetti puttanseca, (if you don’t know this, it is a simple but delicious vegetarian store cupboard chunky tomato, olive and caper sauce). 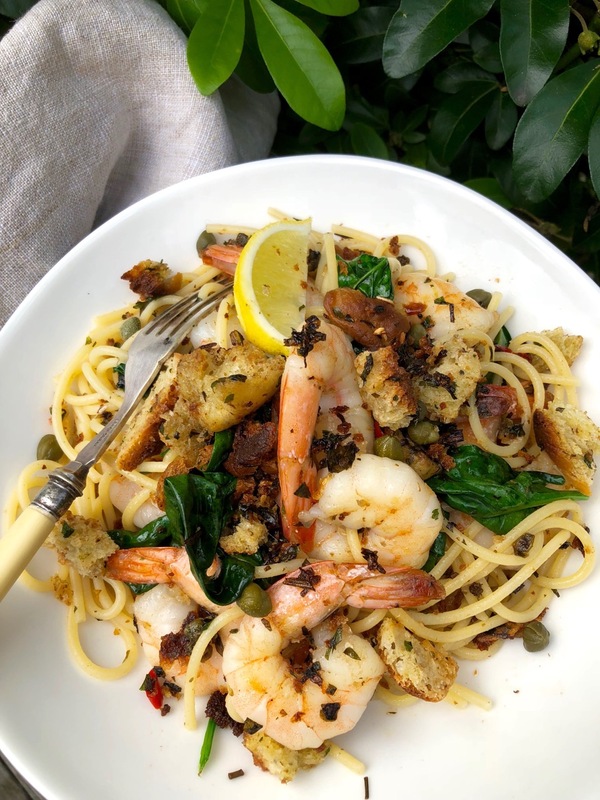 Add some capers lemon and anchovies and maybe a little chilli and toss through a simple pasta with prawns and spinach. Most important of all this is its ability to turn something that may have been waste into a delicious condiment to make your day.